SHANGHAI—Proview Electronics says it is now seeking to regain worldwide rights to the iPad name and is suing Apple Inc. for alleged fraud and unfair competition, hoping to have a 2009 sale of the trademark ruled void. The Taiwan-based maker of LED lights said in a release late Monday that it had amended its lawsuit filed earlier this month in Santa Clara, California's Superior Court. Apart from having the trademark sale voided, it also is seeking unspecified compensation, a share of Apple's profits from alleged "unfair competition" and an order for Apple to stop using the trademarks. Proview insists it owns the rights to the iPad trademark in mainland China. 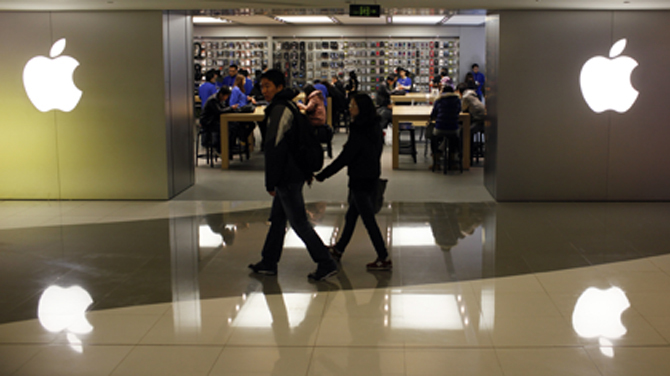 A Shanghai court last week rejected its demand for an injunction preventing Apple from selling the iPad. It also postponed hearing the case pending a decision by a court in southern China's Guangdong Province, where Proview's mainland Chinese factory is based. The Guangdong High Court is due to convene Wednesday for an appeal by Apple of a lower court judgment against the U.S. company's claim to the trademark. It is unclear if Proview's latest legal maneuver is driven by the expectation of a favorable ruling by the Guangdong High Court or by its desire to push Apple for an out-of-court settlement — an option Proview's lawyers have said would be possible. Apple has given no sign it would be willing to settle. It contends Proview failed to transfer ownership of the mainland Chinese iPad trademark as agreed in the 2009 deal. Ma Dongxiao, a lawyer who is representing Proview in China but is not involved in the U.S. case, said Tuesday the dispute in China centers only on ownership and infringement of the iPad trademark, not on the validity of the 2009 deal. In its release, Proview said its amended complaint in the U.S. case is meant to provide details of Apple's alleged "fraudulent actions." "Among the many allegations in the U.S complaint are fraud by intentional misrepresentation, fraud by concealment, fraudulent inducement, and unfair competition," Proview said. If the 2009 deal is ruled void, iPad trademarks for the European Union, South Korea, Mexico, Singapore, Indonesia, Thailand, and Vietnam would revert back to Proview Taiwan, it said. Proview, once a major computer monitor manufacturer, launched its own version of iPAD, or Internet Personal Access Device, in 2000 but it was not a market hit. Apple launched its popular iPad in 2010. Proview contends Apple intentionally misled it when it bought iPad trademarks through a special purpose company called IP Application Development Ltd. that concealed it was acting on Apple's behalf. Experts in the high-tech field say such tactics are common given the secrecy surrounding new product launches, especially Apple's. But Proview says IP Application Development told it that it wanted the trademark because it was an abbreviation of its name. "While some technology companies create special purpose vehicles in order to obtain trademarks, in this case the sole function of Apple's special purpose vehicle was intentional misrepresentation, and an effort to fraudulently induce Proview Taiwan into a sale of the IPAD trademarks," Cal Kenney, a spokesman for Proview, said in the release.